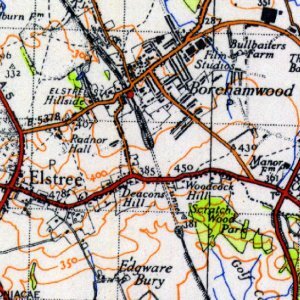 Winchester Road is named after the first Provost of Eton, William Waynflete Bishop of Winchester. 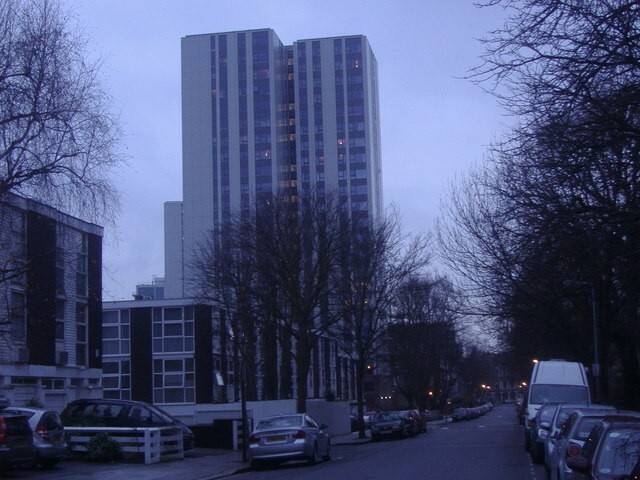 Winchester Road has undergone a transformation since the 1960s as tower blocks and new cultural centres have been built in the vicinity of Swiss Cottage station. 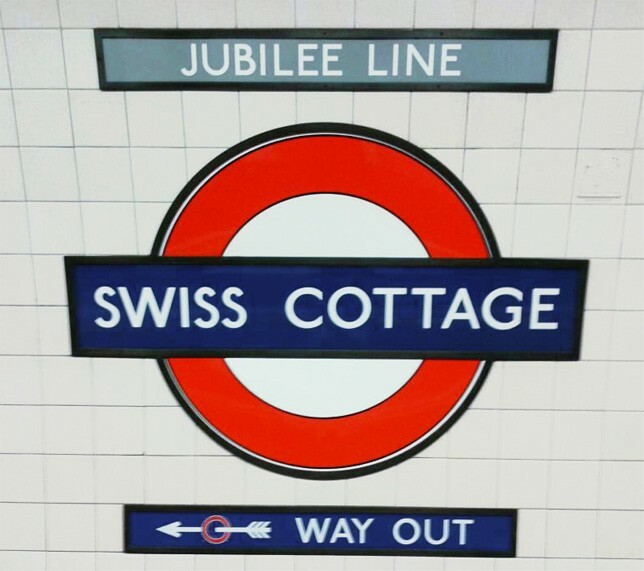 Swiss Cottage is named after an inn called The Swiss Tavern that was built in 1804 in the style of a Swiss chalet and on the site of a former tollgate keeper’s cottage. 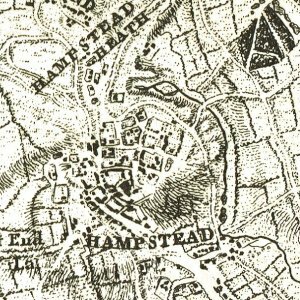 The district formed part of the ancient parish of Hampstead. 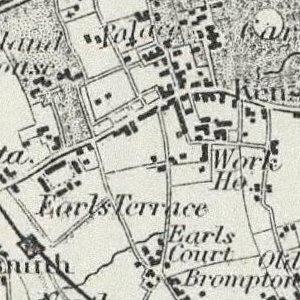 It developed following the Finchley Road Act 1826, which authorised construction of Finchley New Road and Avenue Road, with The Swiss Tavern located at the junction of the new roads. The neighbourhood around Finchley Road and Avenue Road was redeveloped in 1937 and 1938 with the opening of an Odeon cinema and the Regency Lodge flats. After World War II, local authority housing was constructed by the London County Council in the area. Local amenities include an Odeon Cinema, Sir Basil Spence’s Grade II-listed Swiss Cottage Central Library and the Hampstead Theatre. Swiss Cottage is the location of the Royal Central School of Speech and Drama that occasionally performs at the Embassy Theatre. Swiss Cottage Leisure Centre reopened in early 2006 after redevelopment; it now has two swimming pools, a gym and a climbing wall. Many of the area’s cityscapes and London street scenes, particularly of Swiss Cottage, Adamson Rd, Eton Ave and Belsize Park were represented by the Camden Town Group painter Robert Bevan and his wife, the Polish painter Stanislawa de Karlowska. 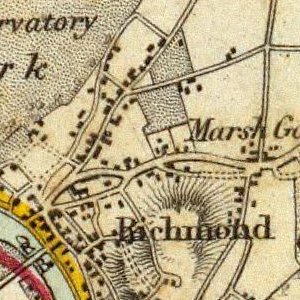 They lived at 14 Adamson Road. Swiss Cottage station was opened in 1868 as the northern terminus of the Metropolitan and St. John’s Wood Railway, the first northward branch extension from Baker Street of the Metropolitan Railway (now the Metropolitan line). 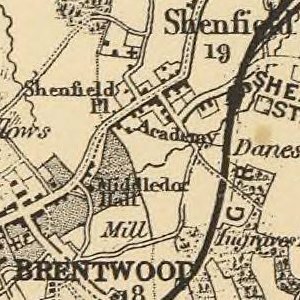 From here, starting in 1879, the line was subsequently extended further to Watford, Amersham, Chesham and Uxbridge. 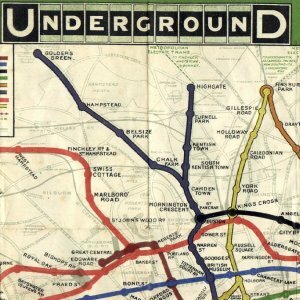 The current station was opened on 20 November 1939 on a new section of deep-level tunnel constructed between Baker Street and Finchley Road stations when the Metropolitan line’s services on its Stanmore branch were transferred to the Bakerloo line. 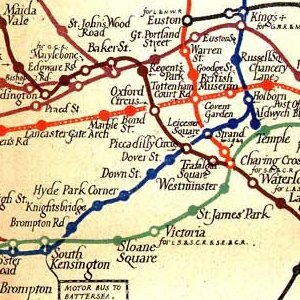 The new station initially operated as part of a combined station with the Metropolitan line’s adjacent sub-surface Swiss Cottage station (platforms 1 and 2 were Metropolitan line and 3 and 4 were Bakerloo line), but the Metropolitan line station was closed on 17 August 1940. The Bakerloo line station was subsequently transferred along with the rest of the Stanmore branch to the Jubilee line when it opened on 1 May 1979.